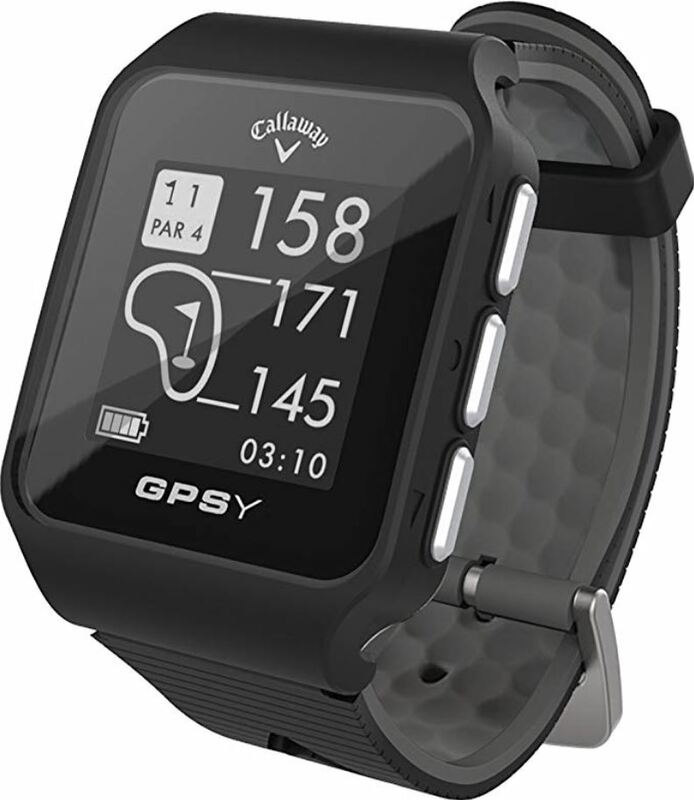 GPS watches for your wrist have revolutionized technology for the amateur golfer. Now, golfers of all skill levels can have statistics like shot distance, swing speed and yardage to the hole all at their fingertips with little to no hassle. 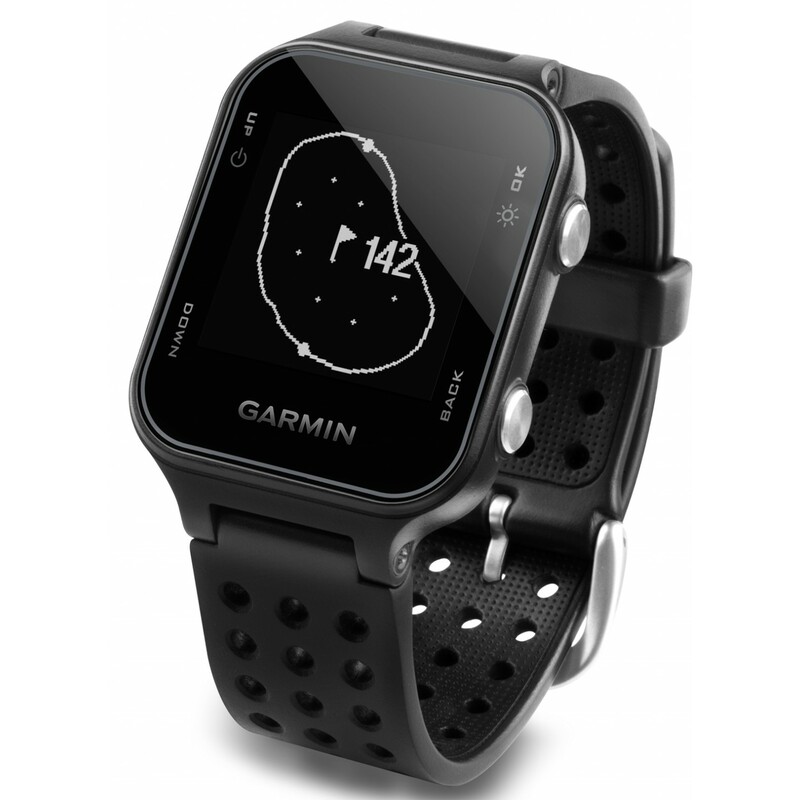 But trying to decide what features for GPS watches are essential and non-essential can get overwhelming. So we’ve taken away the headache and created our list of the top ten GPS golf watches and what sets them apart from all the rest. 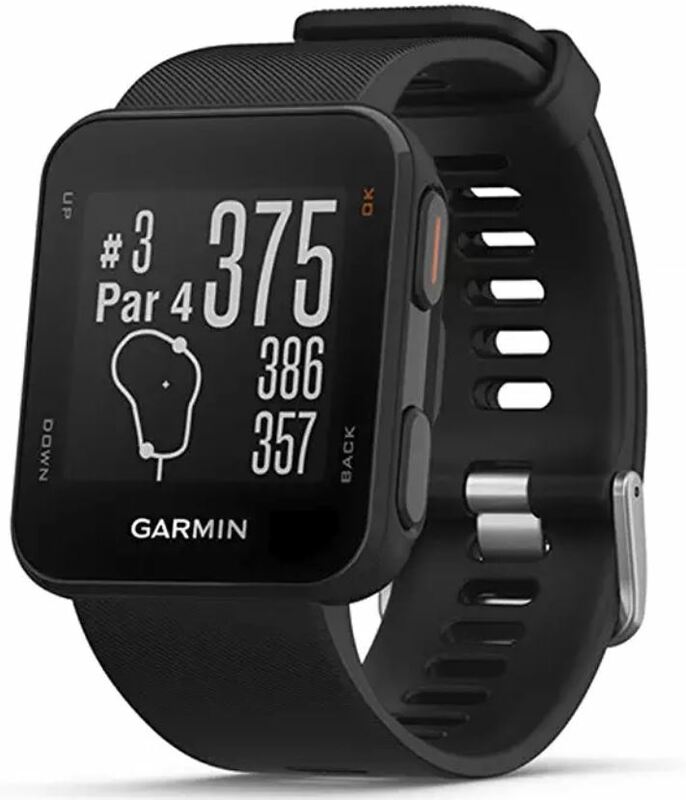 The Garmin Approach S20 is a workhorse GPS watch providing the golfer with automatic course recognition, auto-hole advance and a stunning display that has terrific contrast for older golfers. One of the best features of the S20 is the AutoShot integration with the Garmin Connect System. AutoShot automatically downloads all of your statistics to the Connect website for analysis and shot-by-shot breakdown of your round. It is an excellent way of finding the problems that plague your game. Doubles as an activity tracker, counting calories, steps, and other health factors. CourseView feature automatically updates your watch to new courses. Instant feedback on the watch for swing speed and shot distance. The watch does not give you a full look at the green. The wristband is a little thin, prefer thicker band. With over 41,000 preloaded courses, the Garmin Approach S10 is a simple-to-use GPS watch that delivers a ton of features. With a battery that lasts up to 12 hours per charge, I got more than two rounds of use before I reached for the charging plug. The S10 is waterproof up to 50 meters so you can use it on the course during your rainy rounds. Statistics are easy to track with the S10 as I had no problem seeing my score and yardages to the green. Lightweight and durable, the S10 is a solid entry-level watch, perfect for the beginning golfer. Provides multiple yardages to all areas of green. Battery lasts up to 12 hours per charge. High-resolution display for precise readings. At times, I had to manually flip to the next hole on watch, rather than auto hole advance kicking in. Takes a little time to auto-locate the course, so best to arrive early to allow the watch to gather information. A watch I felt was a slight misfire, yet had some admirable features was the Callaway GPSy. Although the watch is easy-to-use, the GPSy left a bit to be desired with the overall quality of the gadget. More specifically, I felt the wristband was flimsy and could potentially break during a round. The display is bright and does a nice job of providing the yardage to a variety of areas on the golf course. Not as sophisticated as the Garmin models featured on this list, the GPSy does well at keeping your score, greens in regulation and putts in a round stats. Gives instant feedback on shot distance. Very accurate to all regions of the green. Loved how it kept score and putts during the round. Wristband felt poorly made, and I was worried about it breaking during the round. Some watches have roughly 10,000 more courses preloaded than the GPSy. 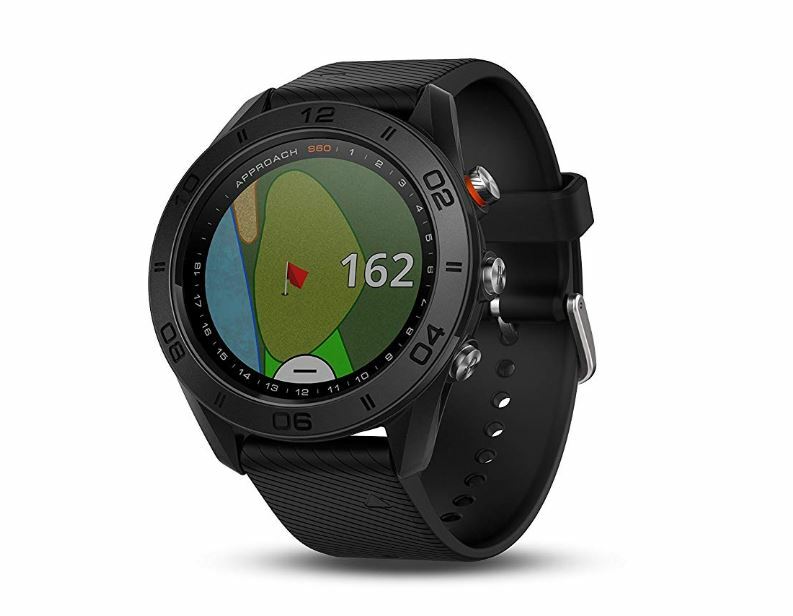 The Neo Ion from Bushnell is a cutting-edge GPS watch that works well when used with the company’s sophisticated golf app on your smartphone. The Neo Ion delivers accurate yardage that when coupled with the app’s 3D flyover views of holes, gives amateur golfers a tremendous advantage when finding the right club to use. Light and compact, the Neo Ion may be a little “loud” with colors and style for more traditional golfers, but the technology and accuracy of the watch cannot be denied. Great for golfers of all skill levels, the Neo Ion is a terrific watch. Stunning battery life that will last over three rounds. Wide display provides a lot of surface area for yardage markers. Preloaded with over 36,000 courses from 30 countries, making it great for traveling golfers. Unique display makes the learning curve longer on the Neo Ion. Youthful look on the Neo Ion may turn off older golfers looking for a more traditional watch. One of the best touchscreen-enabled GPS watches on this list is the Garmin Approach X40. Garmin really went to great lengths to maximize the space on the display of the X40. As a result, the golfer gets an incredible on-course experience that provides accurate reading and a host of statistics. 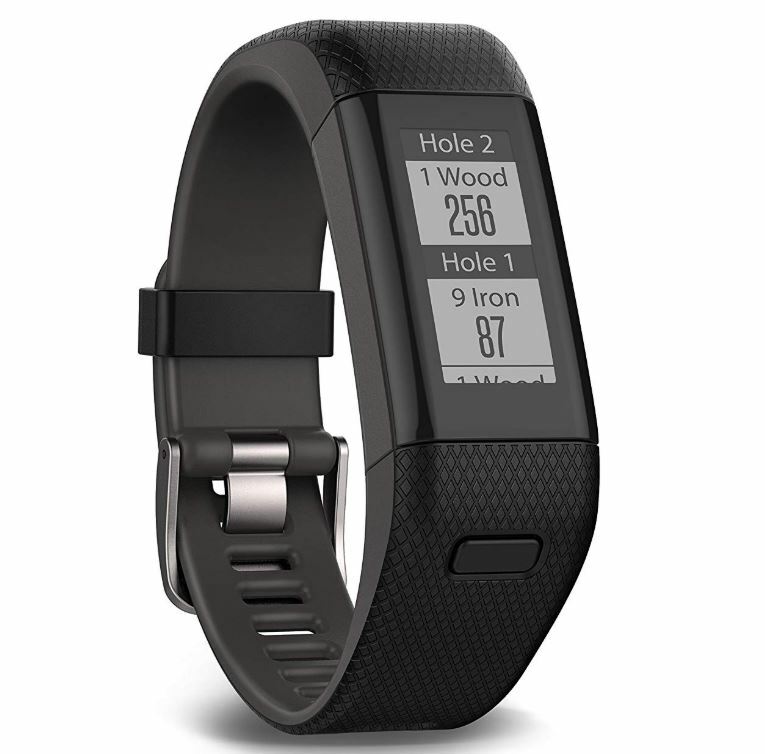 When integrated with the Garmin Connect system, the golfer has live statistics at their fingertips that can give them mid-round corrections that save strokes. 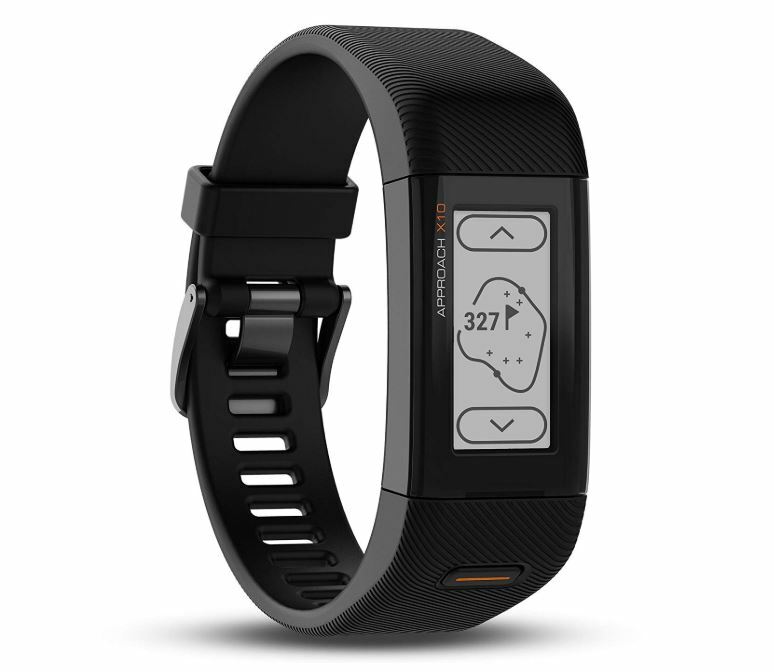 The X40 also has a ton of health features that will keep you moving during your round and monitors your heart rate. One of the most accurate GPS watches I tested. Love the heart monitor for keeping track of heart rate while walking the course. AutoShot integration with phone gives you a full picture of the layout of the hole. The slim display could turn away golfers who want something larger. Maybe too complicated for older golfers who want a watch that is simple. 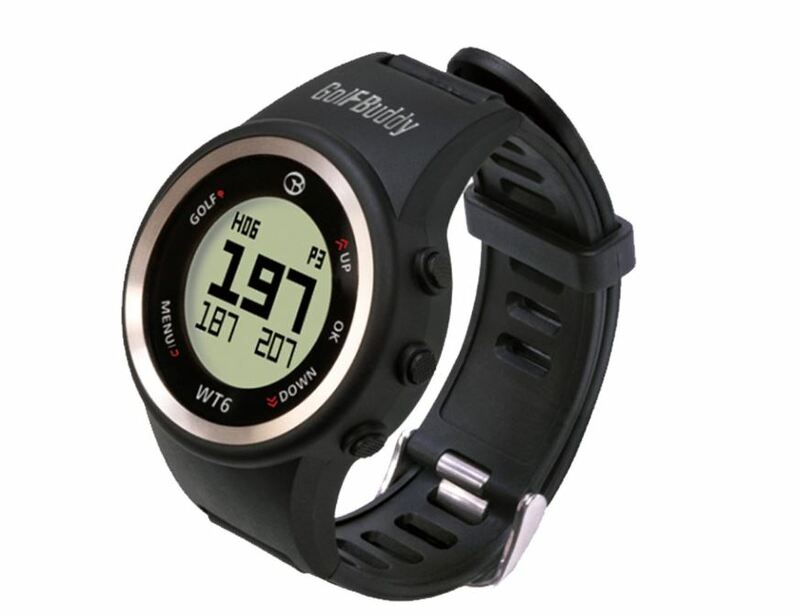 For golfers who are a looking for an affordable watch that won’t overwhelm them with too much technology, may I present the WT6 from GolfBuddy. With a large display that displays numbers with clarity, the WT6 is very accurate and incredibly functional while you play your round. Although GolfBuddy doesn’t have a great app to help you discover problem areas of your game via stat analysis, the WT6 does an admirable job on the course with distances to all three areas of the green and hazards, helping you stay out of trouble. I found that yardage to holes, hazards, and green was very accurate. Preloaded with 38,000 courses, making it one of the most extensive collections of courses for GPS watch. I liked that it gave three yardage markers to green, in the front, center, and back. Feels cheaply constructed, and not up to quality other advanced GPS watches. Doesn’t give you an overview of the hole, so reading yardage is a little tougher. With a vibrant and colorful screen, the Approach S60 from Garmin is a delightful watch that earns all of its accolades. The large 1.2” inch screen has a high contrast level, making it easy to see regardless of the conditions. Even in the brightest sunlight, the S60 is clear and easy to understand. Another winner from Garmin, the S60 fluidly integrates with the Connect system to provide the most statistics and readings from any GPS watch on the market today. Quickly get your yardage to greens, hazards, doglegs with precision and accuracy. This is the watch all low-handicappers should have on their wrist. The best display I’ve ever seen on a GPS golf watch. High-capacity battery delivers over 10 hours of golf use per charge. Band on the watch is one of the most durable that I’ve ever tested. The high price makes it a watch for low handicappers or high volume players. Battery tends to fade quickly after multiple uses, so you’ll factor in some battery replacement over the lifetime use of the device. 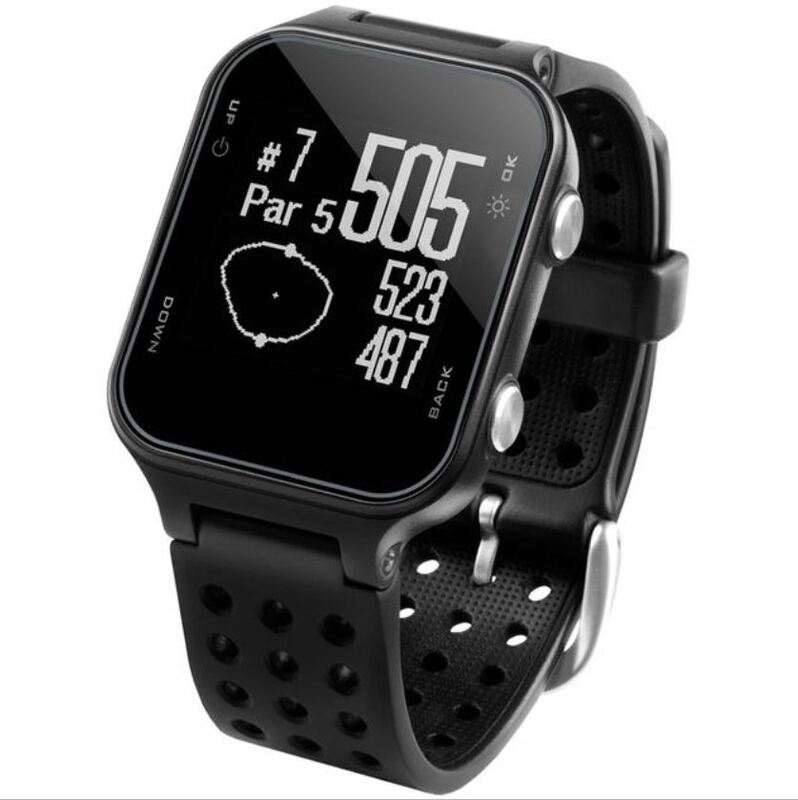 A sleek GPS watch for golfers who want a modern look during their round is the Dream Sport GPS Golf Watch. 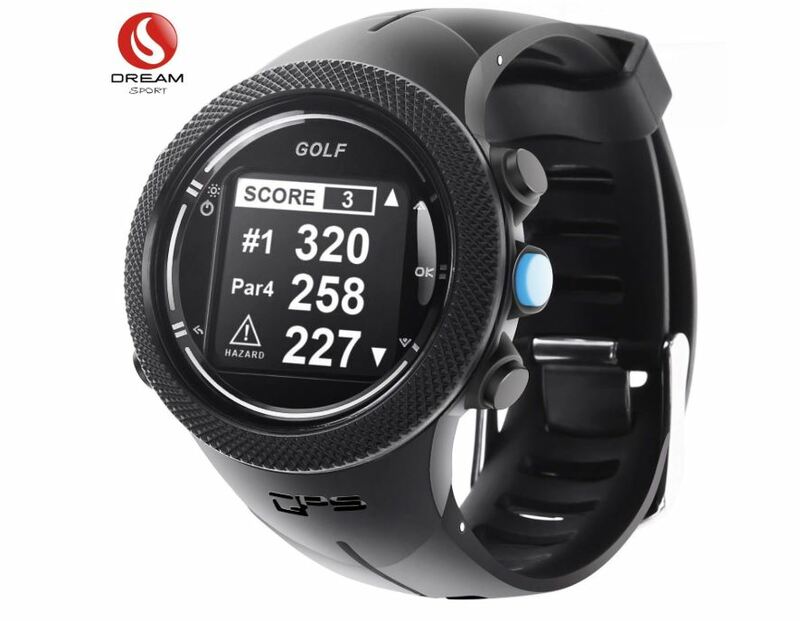 Excellent value for golfers looking to save their money for green fees, the Dream Sport has an extended battery that survives up to 12 hours on a 3-hour charge. The sensitive GPS chip does an admirable job at keeping your watch moving through the holes, although I felt it tended to drag at times. Waterproof and comfortable to wear, the Dream Sport is a solid option if you are looking to save a few bucks. Modern design that looks sharp on the wrist. I had a problem getting it to switch easily back and forth through functions. It seems like the delays in getting the holes to switch over through auto-recognition was a tad longer than most watches. From GolfBuddy, the GB9 is a beautiful watch for the golfer who doesn’t want to complicate their rounds with too much information. The GB9 does well at giving you the yardage to the green, hazards and other features on the golf course. For golfers looking for a more traditional looking watch, then the GB9 is a device more suitable for your needs. With broad overviews of each hole, the GB9 has a detailed screen that will have your playing partners asking all about your new watch. A simple GPS watch with a minimal learning curve. Touchscreen interface keeps your round moving without problems. Free lifetime updates for new courses as they become available. No website or smartphone app to break down your round, the site just updates the watch. For technology-savvy golfers, the GB9 will disappoint with a lack of bells and whistles. A slender GPS watch that delivers high-quality function without a hefty price tag is the Garmin Approach X10. Simple to use, the X10 has a long screen that makes it easy for golfers to cycle through the functions of the watch. Finding distances to the front, back and center of the green is a snap with the X10 and the manual pin-placement feature, allows you to place the pin in the exact area of the green for the most accurate reading possible. Unique look with thin band found on most health trackers. The long screen gives golfers look at the full green. Very user-friendly screen for moving through functions with ease. Not a great option for golfers looking for a broader and more colorful display. At times I wished I had a more tradition GPS watch when needing more information on the hole. 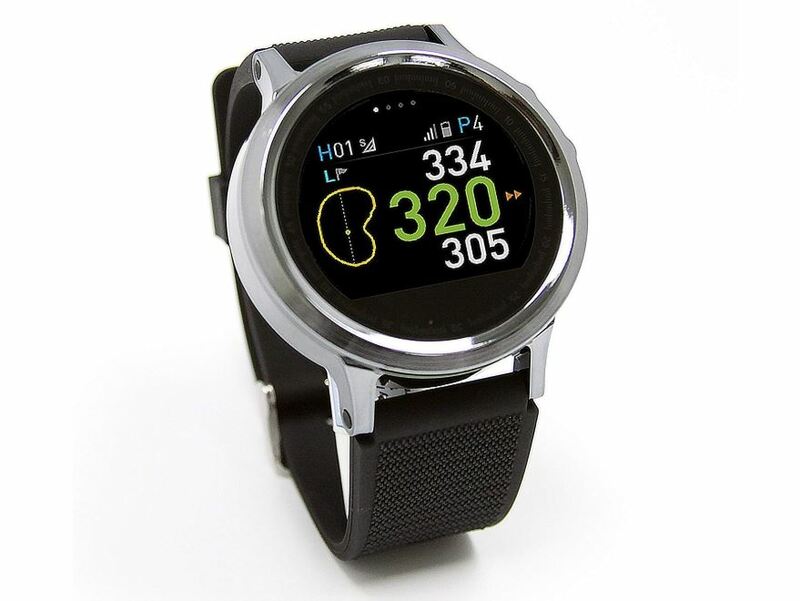 As you can see, there are some wonderful options out there for GPS golf watches that can bring simplicity and a wealth of information to your fingertips. If you are looking for the best watch on the list, regardless of price, then the Garmin Approach S60 is my favorite device. When integrated with Garmin’s Connect system and website, the S60 delivers mind-blowing information that can revolutionize the way to see your game and fuel the steps you need to improve. 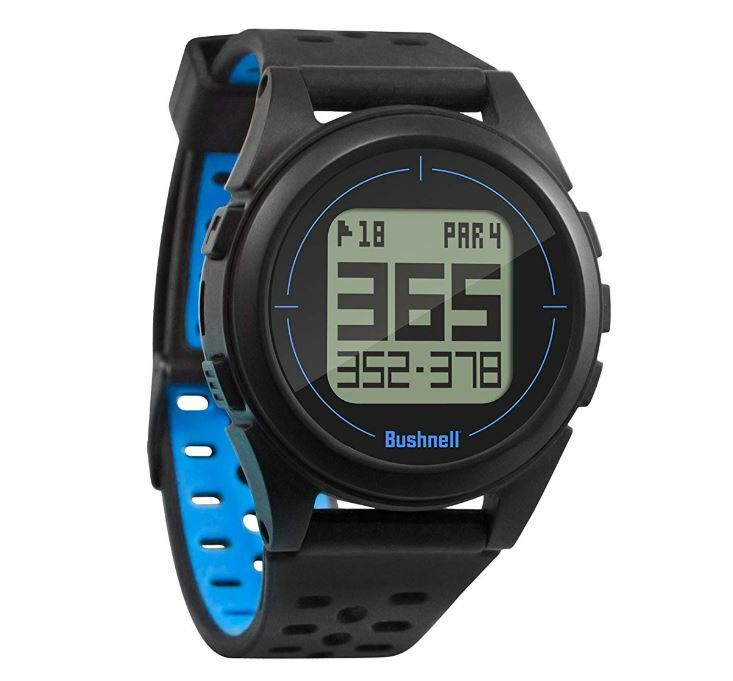 Other great options on the list include the Bushnell Neo Ion watch with its unique look and accurate yardage readouts. I highly recommend this watch if you are looking for something more practical but feature-laden. Whatever watch you choose, I promise that a GPS watch will open up your golf game in ways you will enjoy!